I became interested in the Enneagram several years ago when I first was introduced to the ministry of spiritual direction. It is one of many tools that can help individuals know themselves better, and can help teams of people to know each other better. As a qualified practitioner of the Myers-Briggs Type Indicator®, I am familiar with the concept that knowing ourselves (and our spouses, and our team members) is always a good thing. And while any two evaluative tools will have some overlap, each has its value. Up to this point, I had struggled to understand the Enneagram as one of these tools. I had attended a seminar, as well as done some reading on it, but had neither grasped the tool well nor been able to find a clear application for Christians. Some Christians have been reticent to use the Enneagram for a variety of reasons. (Some have been reluctant to use other tools, too, but the push-back against the Enneagram seems to have been more pronounced.) A follower of Jesus who reads Mirror For the Soul will find his or her fears assuaged, as Alice Fryling integrates her very helpful teaching on the Enneagram with her solid Christian faith in such a way as to disarm the critic and to encourage the believer who is considering using the Enneagram to understand himself or herself more fully. The book helps the reader understand each aspect of the Enneagram in the most basic way, so that even someone with no knowledge of the instrument can grasp the concepts clearly. Helpfully, Alice Fryling also includes questions for personal reflection and/or group discussion at the end of each chapter, along with a brief Scripture passage and questions relating to it and the portion of the Enneagram just studied. The book concludes with a brief treatise on how to use the Enneagram in spiritual direction, and some helpful external resources. Perhaps the one unusual but singularly helpful aspect to the book is that there is no inventory included to help the reader discern her or his own Enneagram number. Instead, the author encourages the reader to review descriptions given in each section so that the reader has to think through, prayerfully, which Enneagram number may be most descriptive. I highly recommend this book if you are seeking an easily-understood unashamedly Christian take on the Enneagram. Disclaimer: The reviewer was given a pre-publication copy of the book for the purpose of this review. Mirror For the Soul, by Alice Fryling – published by Inter-Varsity Press, 2017. You know how, every once in a while, you go shopping for one thing and come home with more than you bargained for? That happens to me when I visit Amazon. Their version of the “up-sell” is that section on the page for the book you’re interested in that says, “People who bought XYZ also purchased…”. It’s a trap. Really. But when you’re stricken with bibliophilia, as I am, it’s an inevitable trap. That’s how I came across Kindling Desire for God. Had I known much about the author’s theology, I probably would have skipped it. But, as so often happens, the subtitle got me: “Preaching As Spiritual Direction.” As both a preacher and a spiritual director, I had to know what this was about. So I bit. Amazon wins again. But, in truth, so did I.
Kay Northcutt is a preaching professor at Phillips Theological Seminary in Tulsa, Oklahoma. She is a minister in the Christian Church (Disciples of Christ) and a certified spiritual director. While I would not share her theological position, I greatly appreciate how she handles this different paradigm for preaching. As a preaching professor, the author is exposed to all manner of different preaching styles, and this book seeks to help preachers, whether certified spiritual directors or not, to see preaching as a form of spiritual direction. All pastors, whether trained in spiritual direction or not, do undertake a measure of it by virtue of office, and that can extend from the study to the pulpit. To that end, Northcutt seeks to encourage pastors to reclaim the authority that is rightfully theirs, spiritually – to move from being problem solvers to being spiritual guides. The authority, though, is seen not in CEO terms, but is “grounded by prayer, intimacy with God, and an explicit knowledge – as well as felt experience – of being the ‘God-person’ and the spiritual guide for congregations” (58). She laments the loss of what she calls our “own inherited texts” – not only Scripture, but the early church mothers and fathers, and spiritual classics. We would rather quote Jack Welch than Julian of Norwich. We would rather cite Oprah than Origen. The author encourages preachers to make their preaching a spiritual act. At the end of the book, she offers some examples of her own preaching, showing how preaching can be a form of spiritual direction. I would not suggest that these sermons are models of outstanding biblical exposition, but there is a pastoral, spiritual element to them that all preachers could learn from. If you’re looking for a different kind of preaching text, give this one a try. If nothing else, it will call you to a deeper relationship with God – something every preacher and congregation can benefit from. 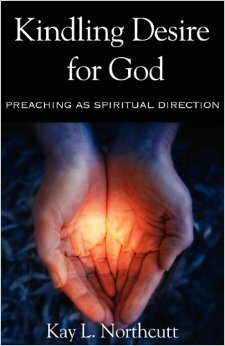 Kindling Desire for God: Preaching as Spiritual Direction by Kay L. Northcutt. Published in 2009 by Fortress Press in Minneapolis. ISBN 978-0-8006-6263-9. This is my summer for finishing books I’ve already started, and I started Building the Bridge an embarrassingly long time ago: early 2008. 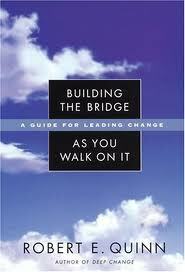 I purchased it as a leadership book, but found it useful on more than one level. I had initially gotten about 100 pages into it, but since it was so long ago that I had started the book, I decided to reread it in its entirety. This time, I read it as much from the perspective of a spiritual director as a pastor in a leadership role. It is a secular leadership book, but the author, Robert E. Quinn (also author of Deep Change), may well be a person of faith, based on how he writes this book. To those who lead in the secular world, the book is an outstanding primer in dealing with personal change; Quinn argues that we lead from and by who we are, rather than from or by what we do. You’ll find it helpful as you navigate change in business. To those who lead in the church – ditto. 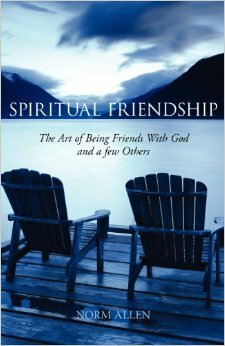 To those who provide spiritual direction, it is a fascinating exercise to read this book from the eyes of a spiritual director. You will find it helpful for yourself, and if you give spiritual direction to anyone who leads, it will give you remarkable insight into how to encourage and ask good questions of your directees. In one sense, I’m glad I didn’t finish the book when I bought it!